Apparently some people are angry that the new Ghostbusters movie has "ruined their childhood". But I must confess that this came as a shock to me. Because either these people discovered a way to travel back to the 1980s... or they don't understand how the simple progression of time works. You see, I was born in 1983, and the original Ghostbusters movies came out in 1984 and 1989 respectively. And through the progression of time, I grew older. I am a fully grown man now. As such, I understand that my childhood was my childhood, and my adulthood is my adulthood (for better and for worse). Movies that come out during my adulthood have no bearing on my childhood unless someone finds a time portal to chuck VHS tapes through. All things considered, my childhood was pretty damn good. On the Ghostbusters front, I remember that I loved the movies and even had a ghost trap toy that my parents bought for me at Target. I remember playing with that thing in the garage all the time. I caught so many fake ghosts when I was a kid. I haven't caught any fake ghosts as an adult because I am an adult and, even more importantly, I no longer have that ghost trap toy. 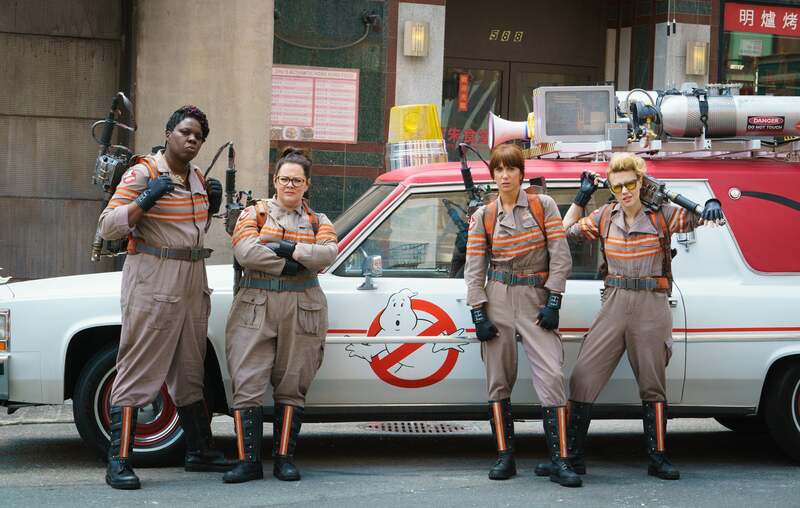 I haven't seen the new Ghostbusters movie yet, though I hear the new main characters are women as opposed to men. I don't suspect that even childhood me would have cared about the gender of the ghost catchers, but you never know. As I said, the tech of the ghost trapper — and the fact that my parents loved me enough to buy many of the shiny toys of the time — was the thing that really piqued my interest. As I said before, I am an adult man now. I am going to go to the adult movie theatre using my adult money with my adult wife while driving my adult car this weekend. If I somehow trip into a time hole and the new Ghostbusters movie retroactively ruins my childhood, I will try to update this post and tell you about it. But if the new Ghostbusters ruins my childhood, I think I have bigger problems.